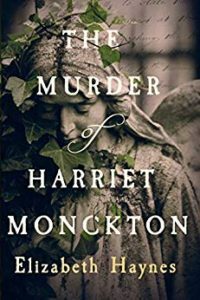 I’m so excited to be taking part in Elizabeth Hayne’s The Murder of Harriet Monckton blog tour! At the end of this post, there is an exciting giveaway, so make sure you check it out! First I will share a bit about the author and this book before I share my review. Set in Bromley, 1843 – the reader is taken back to a time where secrets, suspicions, cover-ups, grief, loss, religious undertones, morality, relationships, unrequited love, betrayal, community/village mentality, scandal, consequences, hypocrisy, judgement, sexism, loyalty and a search for the truth shroud every page. OMG what a superb read!! I honestly feel I am not going to be able to portray exactly how much I LOVED this book – but I will give it a go! I was immediately hooked and thrown into the 1800’s with this fantastic work of fiction based on real life events. This was such an atmospheric / beautifully written novel – the sense of place and characterisation/narrative had you right there in the moment. The Suspicions of Mr Whicher is one of my favourite novels and I really could see / feel similarities in the most positive way imaginable. So many suspects, it took me FOREVER to finally realise what was happening and who the culprit may be. I figured it out on the MO – but still had no clue until the very end as to who actually did it!! I also loved the way the information given to the reader was as unreliable as the individual sharing it – it all added impeccably to the mystery. Wonderful! Amazing! SUPERB!! 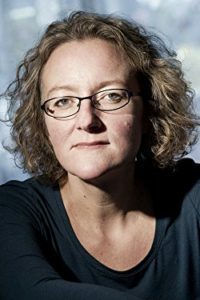 Character-wise, the story revolves around the murder of poor Harriet Monckton. But there was even question as to whether it was murder or suicide based on events going on in her life at the time. As a reader, we get to know what type of person Harriet was through other readers and eventually from Harriet herself -and we become even more curious. I was totally engrossed in this story – style, characters, plot – everything was just perfect and I highly recommend you delve into this story as soon as possible. A #TopRead, grab your copy today! Closes at noon on Sunday Sept 30th. The winner will be chosen at random and contacted the week of Oct 1st 2018! 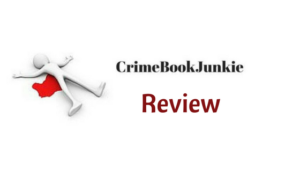 This entry was posted in Blog Tours, Book Reviews, GiveAway and tagged #BlogTour, #Crime, #Crime #Twists #Murder, #CrimeFiction, #Emotive, #Giveaway, #Murder, #Mystery, #Suspense, #Thriller, #Twists by crimebookjunkie. Bookmark the permalink.